Host your next meeting or event at Best Western Wichita North! Our full-service convention center, friendly and knowledgeable staff, and in-house chef are here to tend to every detail so you can relax and enjoy your event. 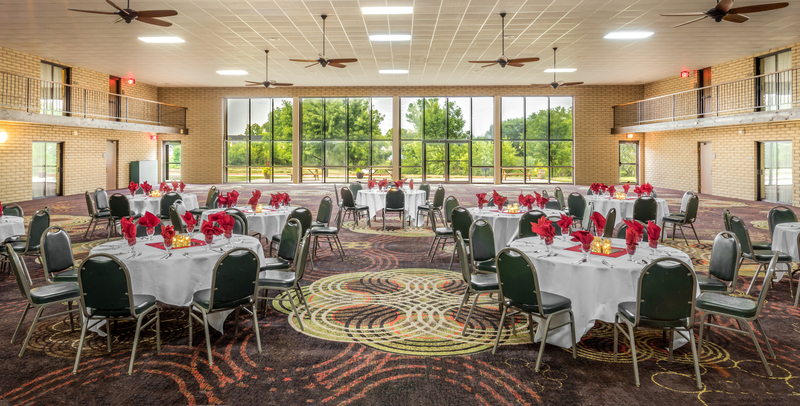 With over 20,000 square feet of meeting rooms in Wichita, KS, we can accommodate anything from an intimate 15-member board meeting to a lavish 450 guest wedding reception. 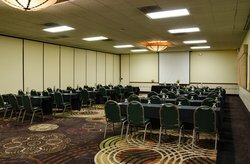 Your event guests or business partners will appreciate our hotel’s convenient location just off the I-35, and employees of local businesses, such as Koch Industries, Alefs Harley Davidson, the National Institute for Aviation Research (NIAR), Wichita State University and more can take advantage of our versatile meeting rooms and business center. After a busy day, unwind in your spacious Wichita, KS hotel room or suite, enjoy a delicious meal at our onsite restaurant, break a sweat in our fitness center or even play a game or two in our games room! Whatever your meeting or event needs, call us at (316) 832-9387 to learn more, book your venue and experience the Best Western difference! Our South Atrium has almost 10,000 square feet and a stage/dance floor which has plenty of room to create the reception of your dreams! 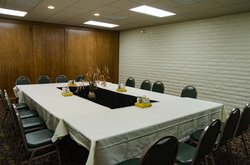 The Regency Ballroom can be divided into three separate meeting rooms or combined to suit a larger group. Regency IV is perfectly suited for a more intimate gathering.